As I’ve explained before, I am on the Board of Directors for the RPG Creators Relief Fund, a charity specifically designed to provide financial support for fellow creators (designers, writers, artists, editors, etc.) who have emergency needs or fall into hard times. Today, we launched a very special charity bundle. 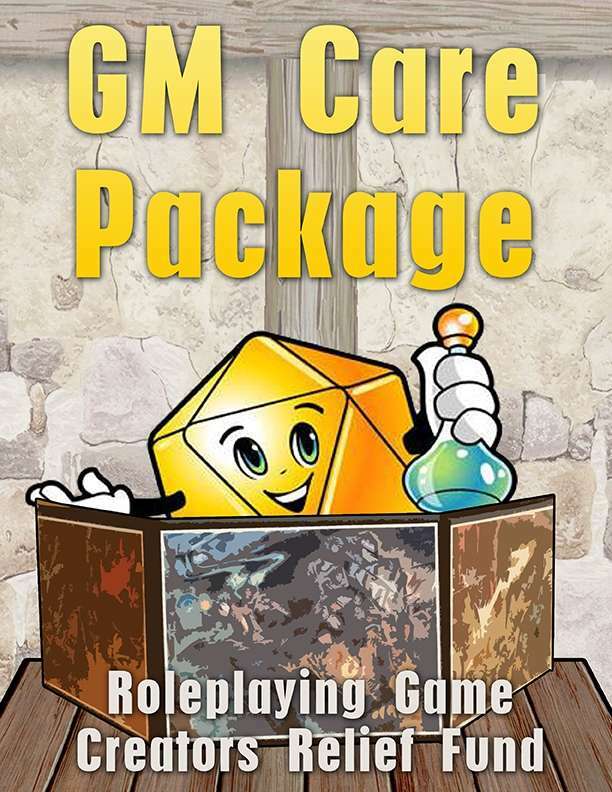 The theme is a Game Master Care Package, with a ton of material to help any GM running games. We timed this with the impending opening of Gen Con 2015, and we hope we can get all of you excited to not only grab a ton of great product for massive discount (and, of course, share with your GM), but to also support this worthy cause of getting our fund up-and-running to ensure the great creators of your favorite stuff have the help and support they need when the time comes. The Roleplaying Game Creators’ Relief Fund, a charity established by gamers to help game creators in need so they can continue to create great games for all of us, is proud to announce its first major charity gaming bundle on DriveThruRPG! The bundle includes over $200 worth of gaming PDFs and is available for only $20! All money received goes into the RCRF’s coffers to help it perform its mission of assisting game creators who have suffered medical or other emergencies.